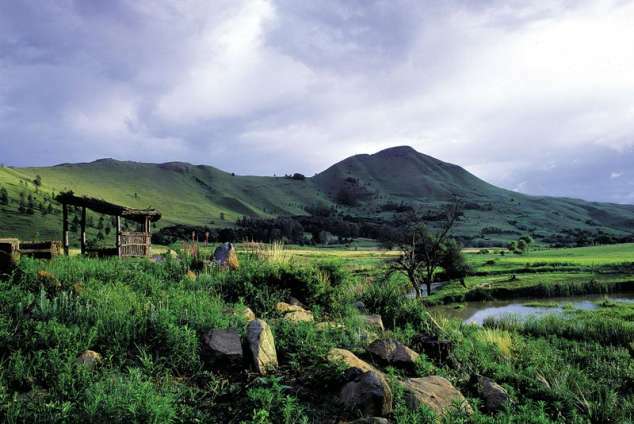 For all those wonderful men and women whose passion for trout fly-fishing is fed by spending countless days in the outdoors patiently waiting for the fish to bite, Dullstroom in Mpumalanga is the fly-fishing Mecca of South Africa. Comprised of many man-made dams, stocked with both Brown and Rainbow trout species, Dullstroom offers camping facilities and affordable South African getaway lodges in a temperate nature reserve. With its well-stocked stillwater dams, Dullstroom offers visitors the chance to experience and enjoy the sport for themselves. The first trout population in the area was introduced in the 1900s and has grown significantly stocking the dams sufficiently. The annual Dullstroom Trout Festival is limited to only 80 anglers entrants per year. The event is looked forward to and anglers from all over the world vie to win the prize for the biggest catch. The enthusiasm can almost be felt in the air and the smug sense of satisfaction that comes with reeling in a potential prize-winning fish can make friends of enemies. Photos are taken, hands shaken and occasionally interviews given in circumstances where there is a record-breaking catch. The event includes a fundraiser which assists local communities and campaigns. The average size of the trout caught at Dullstroom are large (between 1.8 and 4.5 kilograms) but you don’t need to be an expert to try your hand at fly-fishing. Dullstroom is friendly to beginners, who haven’t yet perfected the art. The village angler shop nearby is stocked with a large range of fly-fishing equipment, including rods, lures and books on the subject. The very friendly shopkeepers are more than willing to pass on some words of wisdom and give guests a few tips and tricks of the trade. Enjoy float tubing which is permitted. Travel down to Dullstroom for a weekend away and enjoy your time fly-fishing with like-minded people from around the world. If you’d like to include this destination in your itinerary, please let us know here so that we can advise you about a South African safari cost.